So you are a GALAXY S7 Active user and you didn’t buy galaxy s7 Active unlocked because you bought it from a network carrier and you are bored of being attached to that network carrier and want your freedom to pick out any network you want any where in the world and you are thinking how do i unlock my samsung phone , you are at the proper place. We can proudly say that now you can get your samsung S7 Active unlocked permanently with us very effortlessly. We give to you the most low cost and fast sim unlocking offerings, and our fees cant be overwhelmed. How To Unlock AT&T SAMSUNG GALAXY S7 Active? The first-rate solution to get unlocked GALAXY S7 Active is via SAMSUNG GALAXY S7 Active sim unlock code. Each cellphone has a 15 digit unique code referred to as imei number. via giving us imei # you may get unlock code to your cellphone, and through entering that code you will have unlocked SAMSUNG GALAXY S7 Active. How To Order SAMSUNG GALAXY S7 Active Network Unlock Code? Ordering Unlock Code is as easy as 1 2 3. All you need to do is select the network your phone is locked on, write IMEI number of your GALAXY S7 Active and your e-mail address and press the buy now button. Within the time said above we can send you your unlock Code. How To Find IMEI # Of SAMSUNG GALAXY S7 Active? You can find IMEI # of your SAMSUNG GALAXY S7 Active by dialing *#06#. The details are discussed about how to find IMEI number of your phone here. How To Enter SAMSUNG GALAXY S7 Active Unlock Code? When you insert a non-accepted sim card an “enter code” menu will prompt, you can than enter your SAMSUNG GALAXY S7 Active Unlock Code and your phone will be unlocked. What Are The Benefits Of Unlocking SAMSUNG GALAXY S7 Active? There are so many benefits of getting your SAMSUNG GALAXY S7 Active unlocked, You can read benefits of unlocking your phone here. Shortly, factory unlocked SAMSUNG GALAXY S7 Active will give you freedom of choosing network while increasing re-sale value of your SAMSUNG GALAXY S7 Active. What Are The Risks Of Unlocking SAMSUNG GALAXY S7 Active? There will be no loss of data or features. You dont need to install any third party application. Unlocking your phone will not mess up your existing software. 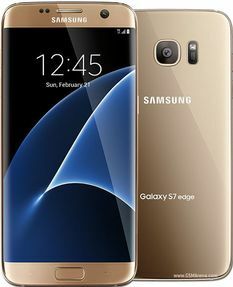 Why Unlock Your SAMSUNG GALAXY S7 Active By LetsUnlockPhone.com? All unlocking takes place by LetsUnlockPhone.com is done from official database so you can be assured that we will follow up on our commitment. We are specialists when it comes to unlocking any phone with unlock code (such as at&t, Cricket, rogers, fido, bell, telus etc) whether you have phone from USA (like at&t, Cricket, etc) or or Canada (rogers, fido, bell, telus, fido, koodoo, videotron, etc). Plus, we back our service up by very friendly and respectful customer service and 100% money back guaranty.